Handheld devices are becoming obsolete more quickly than ever. The lifespan of a device has reduced to around 2 years. You might be using an old phone and wanting to sell it for the best price. Since there are so many middlemen in the selling process, the owner of the phone doesn’t really get the right price trying to sell it in the physical market. Why go to the market when you can sell old mobile phones on Cashify. At Cashify you get instant quotes, free doorstep pickup, and instant cash on pickup. The best part is that you can select the pickup date and time according to your convenience. Talking of selling old smartphones, Samsung Galaxy on5 was launched approximately 4 years ago in 2015. The price of this phone was set around Rs 8,000. The rear camera is an 8MP shooter and the front-facing camera is a 5MP shooter. The front has a 5-inch LCD TFT display. The display quality is not the best but the price point of the device is such and hence Samsung put an LCD TFT display in their Samsung Galaxy on5. The gaming experience is good, thanks to the 1.5 GB RAM and Samsung’s own Exynos chipset. This phone was a very good deal in 2015, but in 2019, Samsung Galaxy on5 is not relevant. 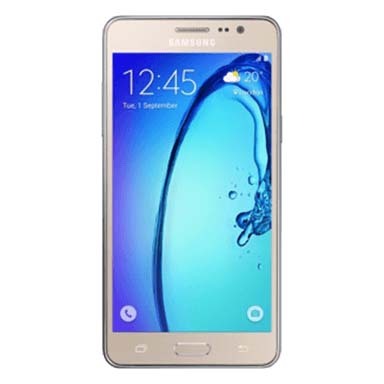 Sell old Samsung Galaxy on5 online on Cashify in 3 simple steps in just 5 minutes. Schedule a free pickup as per your convenience and enjoy payment on the same instance. Cashify is the most trusted platform in India to sell old mobile phones online and other gadgets for instant cash on pickup. Schedule a pickup now!